Glebe Estate Area Guide - What makes Glebe Estate so great? Where do Glebe Estate locals go? Beautifully crafted cakes and desserts. A real treat! A friendly neighbourhood barbers where you can get a proper shave as a treat. Books at a bargain price - everything from fact to fiction, this place is well stocked with a varied range of titles. The place to go to pick up a healthy salad, freshly baked bread or a tasty sweet treat. There's plenty of room to sit and chat with friends or take away your lunch in handy pre-prepared pots. A stylish café with an Argentinian twist. Grab a bowl of warming and spicy soup from this Vietnamese street food restaurant! A smart drinking establishment with a great garden that can be used all year round, with outdoor heaters and blankets. Good food, tasty cocktails and live music on the weekends. A butchers selling delicious fresh burgers and sausages on Chiswick High Road, as well as a range of other meats and products that have been freshly prepared. Delicious Vietnamese food to eat in or takeaway. Try the banh mi - tasty baguettes with a range of fillings and hot sauce. A vintage, upcycled and antique treasure trove in a stunning converted cinema. Share your favourite place to go to in Glebe Estate. "Painter, engraver and printer Lucien Pizzaro (1863-1944), lived at 27 Stamford Brook Road, Chiswick." 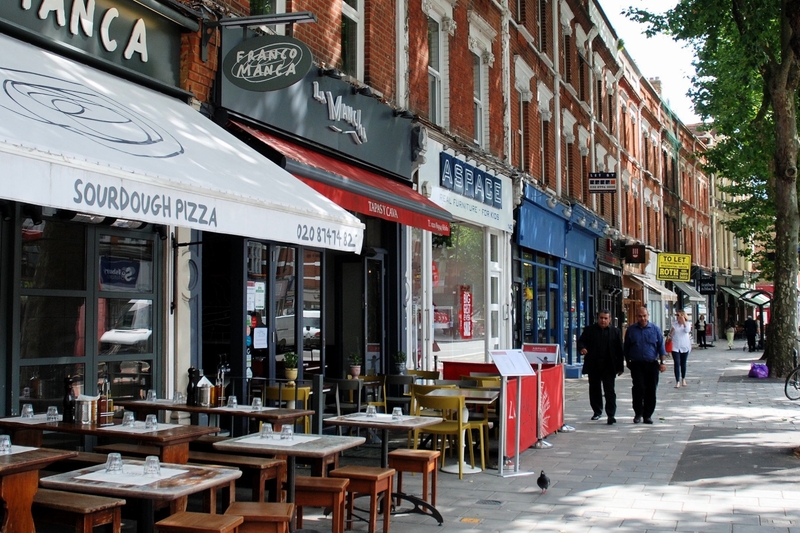 From well-known high street stores, to independent boutiques, Chiswick High Road has everything I need! From down below or way up high, you can really appreciate Chiswick's leafy, charming appeal that everyone loves. The West London Dance Academy is an International Dance Teachers' Association (IDTA) accredited school. It offers classes in Ballet Boys' Ballet and Tap dance to children of all ages. Do you live in Glebe Estate, or have you lived in Glebe Estate recently? If so, let us know what you like about living in Glebe Estate. Feedback about living in Glebe Estate has been submitted directly by the public and may not neccessarily reflect the views of Foxtons. The description of Glebe Estate was modified from Wikipedia and is available under the Creative Commons licence. Land Registry data is Crown copyright. All the views and contributions contained within Foxtons Local Life are those of the contributors. All content is assessed before publishing for taste, however free opinion is encouraged. Foxtons accept no payment or sponsorship for content that is posted about Glebe Estate.